Our mission to create ‘a clay plaster that is not only the best in the world, but also the best for the world’ required years of research and over 2 years of dedicated development and testing. For while clay plasters are one of the most ancient of building materials, to ensure that they are robust, reliable and don’t crack, deteriorate or dust, requires some fairly complex natural geo-science. This research and development was made possible by funding from South West Investment Group, a not-for-profit organisation delivering SME loan finance across the South West region. On 28 March 2017, Responsible Finance awarded Clayworks the Citi Microentrepreneur Award for Sustainability, in recognition of both the achievements of SWIG as a responsible finance provider and also the unique systems and processes we have established to expand our business, to promote inclusive economic growth and job creation in underserved communities and establishing new markets and developing innovative products. Jennifer Tankard, Chief Executive, Responsible Finance said: ‘These awards celebrate a few of the many micro entrepreneurs who have built thriving and innovative businesses. It also celebrates the impact of Responsible Finance Providers in supporting these businesses and local economic growth’. 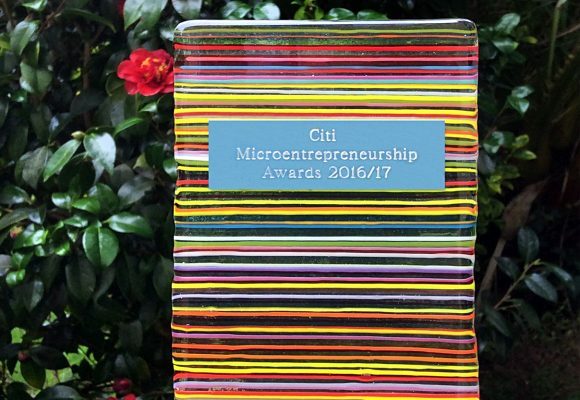 The Citi Micro Entrepreneurship Awards Programme is a UK wide signature initiative of the Citi Foundation aimed at raising awareness about the importance of micro entrepreneurship and micro finance. The Citi Foundation works to promote economic progress in communities around the world and focuses on initiatives that expand financial inclusion. Responsible Finance is the voice for providers of fair and affordable finance. It represents and supports a national network of responsible finance institutions. Its mission is to support the development of a thriving and sustainable responsible finance sector that provides finance for disadvantaged and underserved communities, bringing wealth, well-being and economic prosperity to those areas.